Meeting at airport upon arrival by Our Representative . Transfer to hotel. 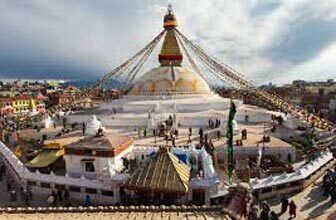 Kathmandu is the capital of Nepal and the Kathmandu Valley is the political and cultural heart of the Kingdom. The urban sprawl that makes up modern Kathmandu is in fact two cities, Patan and Kathmandu. 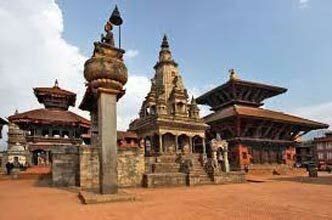 Then, you will be taken for sightseeing to City Durbar Square. This square is famous for old palaces, temples, Kumari Ghar and so on. 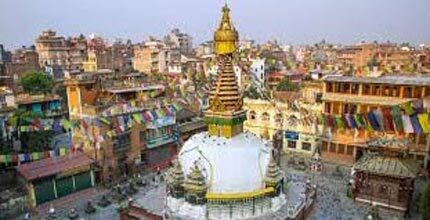 Now we move on to Syambhunath, famous world heritage sight with magnificent views of the Kathmandu valley and tribute to Buddhism. Overnight at hotel.